This outdoor pendant nicely accompanies the outdoor decorations of contemporary and modern style homes. The beautiful silhouette and oil rubbed bronze finish captures the attention and gives the garden a festive atmosphere. This lantern is open at the bottom for easy bulb access. This outdoor pendant pairs well with classic outdoor dicor themes and rustic styled homes. The beautiful silhouette and black gold finish captures attention and sets the garden mood alight. This lantern is open at the bottom for easy light bulb access. Loyal Collection 1-Light Textured Graphite Hanging Lantern Loyal embodies a traditional Craftsman profile, but in a simplified, more modern interpretation. Building upon the rich history of this tradition, Loyal is ideal for today's homes featuring bungalow and lodge-style architecture. Seeded glass panels are polished on the exterior for easy maintenance while an etched interior finish provides excellent diffusion for the included energy-efficient bulb. Loyal features a cast aluminum housing with a durable powder coated finish. 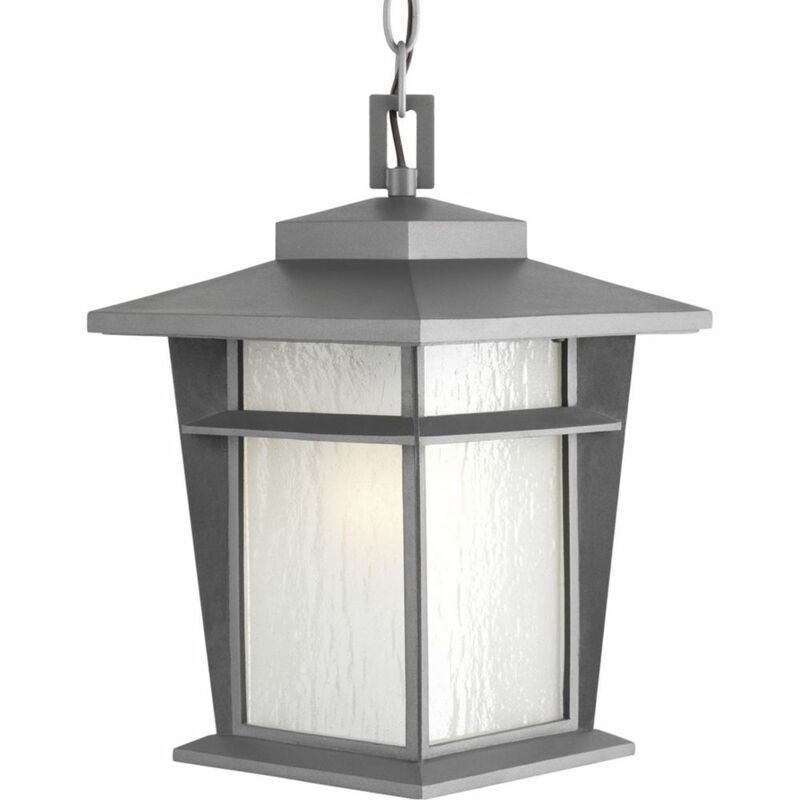 Loyal Collection 1-Light Textured Graphite Hanging Lantern is rated 5.0 out of 5 by 1.